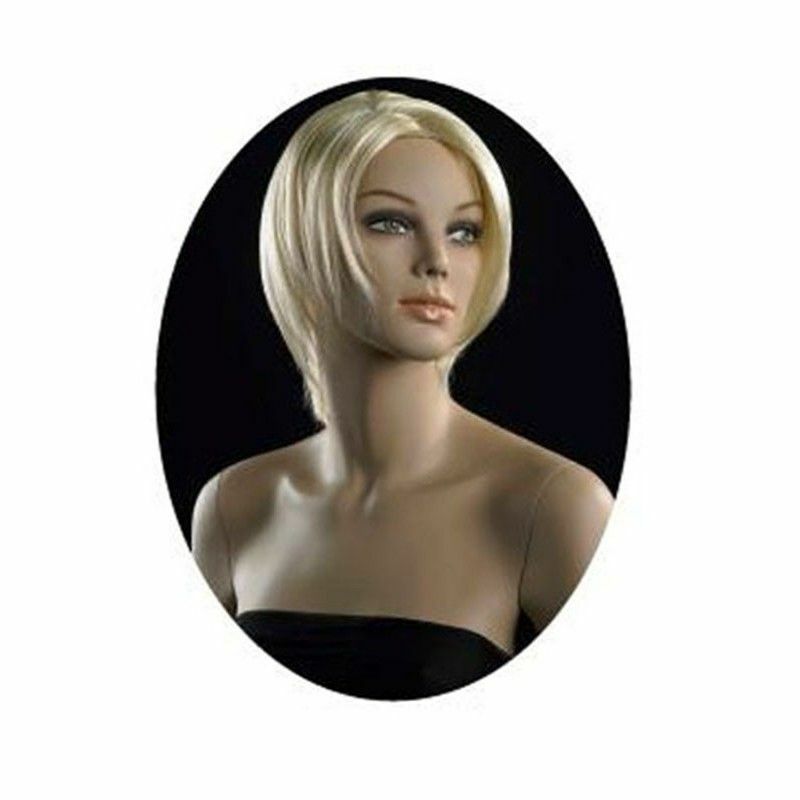 Woman wig for realistic display mannequins. Available in ash blond, red or grey. Short hair blond wig and platinum. Available in ash blond mahogany and gray.